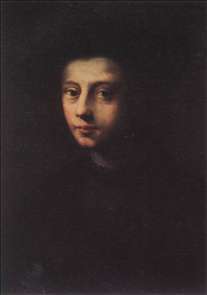 Domenico Puligo, actually Domenico di Bartolommeo Ubaldini, Italian painter. According to Vasari he was a pupil of Ridolfo Ghirlandaio. Later he was assistant to Andrea del Sarto, in whose Roman works Domenico s hand is evident. 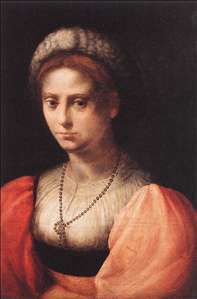 His painting was influenced by that of Andrea del Sarto, Pontormo and Rosso Fiorentino. In fact, he has often been attributed works that were previously believed to be by the latter two Mannerist artists. As an independent painter, he used a still softer sfumato than Andrea and, by largely dissolving the contours, and a preference for a marked chiaroscuro, achieved an expressive atmosphere. Puligo painted numerous Madonnas, for which he preferred smaller formats. See more details about "Portrait of Pietro Carnesecchi"